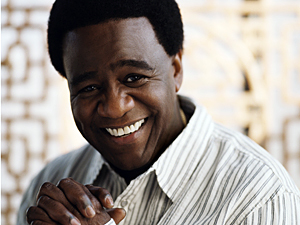 Al Green has just released his new album Lay it Down. He’s really gone out of his way to make a pretty killer record. He’s recruited some top-notch talent, getting ?uestlove to produce some tracks. He’s also featured John Legend, Corrine Bailey Rae and others, trying to get the best of the “new soul” movement on his side. I can’t even begin to tell you how unreal Al Green is, or was, in his classic days. “Let’s Stay Together” has to be one of the most classic tracks I’ve ever heard of. Green says that this album is full of love songs, something he’s always been good at. So if you’re looking for a killer album for some summer romance, definitely pick this one up. Listen to the NPR interview.